Looking for a cheap flight from Singapore to Manado (SIN-MDC)? 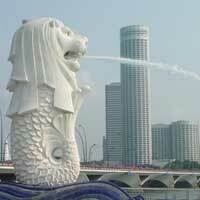 Flights fares for Singapore to Manado start at US $ 209.00. Find the best and cheapest flights on this route and other relevant information. Before you book a flight you can use Utiket to find the cheapest flights from Singapore to Manado for Garuda Indonesia, Lion Air, Citilink, Batik Air, Wings Air, Sriwijaya Air. All flight data are real-time and accurate. Utiket finds all the cheapest flights from Singapore to Manado. On average the flight time between Singapore and Manado is about 3 hr 30 min. There is no time difference between these cities. The timezone for both cities is: UTC +08:00. The local time now: 13:53:36. There are 1 airlines flying from Singapore to Manado. Weekly there are 1 flights between Singapore to Manado. The earliest flight from Singapore to Manado is at 09:20. The latest flight is at 09:20. The cheapest price for flight from Singapore Manado is USD 209.00. Sam Ratulangi International Airport (MDC), also known as Manado International Airport, is well-connected with other parts of Indonesia and is named after the Minahasan educator and independence hero Sam Ratulangi. It is designated as one of the 11 main entry ports to Indonesia by the Ministry of Tourism and Culture of Indonesia and serves as the main gateway to the Bunaken National Marine Park. It is currently the hub of Lion Air/Wings Air for the northeastern part of Indonesia and is one of the focus cities of Garuda Indonesia. 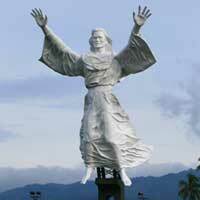 Find cheap flights to Manado or read more about Sam Ratulangi International Airport. Which airlines have direct flights between Singapore - Manado? Need place to stay in Manado?